Fluctuating levels of work are all too familiar in the construction industry due to seasonal challenges. Renting inspected, tested and / or certified lifting equipment from top manufacturers minimizes capital expenditure, cuts costs and ensures that you always have access to the most up-to-date equipment that is well maintained, ordered to your specifications and ready to use. Hospitals, Schools and Universities, High Rise Office Buildings, Large Commercial Construction, Industrial Construction, and Airports. GCCOM Construction Company Inc. was charged with the task of dismantling the Bayonne Bridge Approaches with the help of rental equipment specialists, Lifting Gear Hire. 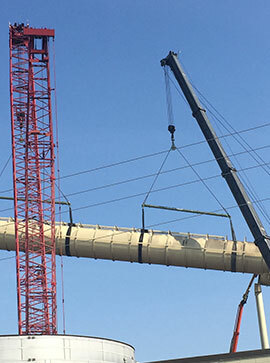 For Project Manager, Jason Schreck, and his company, GCCOM Construction Company Inc., executing the highest of safety standards is crucial to completing their latest endeavor – the demolition of the Bayonne Bridge Approaches – on time and on budget. 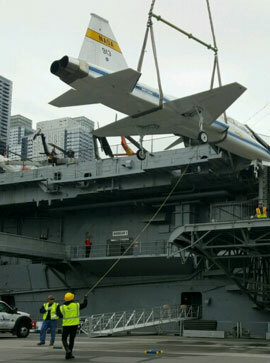 R. Baker & Son was hired to lift a T-38 Supersonic Jet onto flight deck of the Intrepid Sea, Air & Space Museum using rented MODULIFT® MOD24 spreader beams and Lift-All polyester round slings from Lifting Gear Hire. The challenges involved were many. 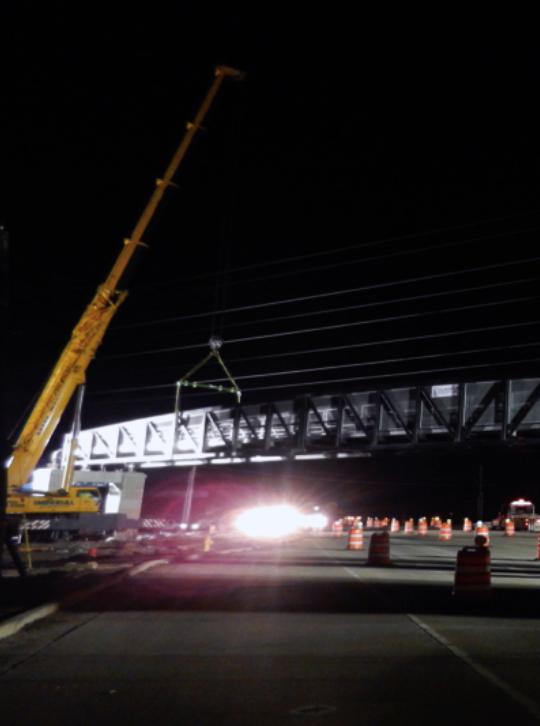 With a one-day turnaround, TJ and his workers had a delicate job to do in a short amount of time. The most challenging aspect came in the form of not damaging the plane in any way, shape, or form and to keep it level throughout the lift. 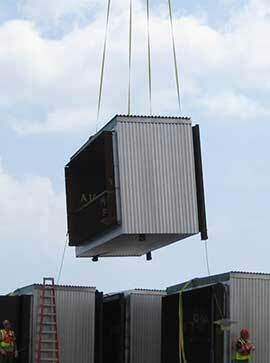 Dee Cramer, a sheetmetal and HVAC contractor in Holly, Michigan, was approached by the owners of Greektown Casino to place a steam boiler on top of their casino to provide adequate heating for their facility. The Detroit Field Superintendent, Chris Dufour, had 12 to 16 weeks to obtain his equipment, create a lifting plan, build the materials needed to place and secure the boiler above the casino, acquire safety engineering on the weights, ensure their welds were engineer-approved, truck the material down to the site, and lift it into place with a 500 ton crane. As challenging as that already sounds, it only began the long list of struggles the company faced in completing the job. Greektown Casino was a new customer for Dee Cramer, located right in the heart of Detroit. So, as with any major city, the biggest struggle came in the form of traffic. 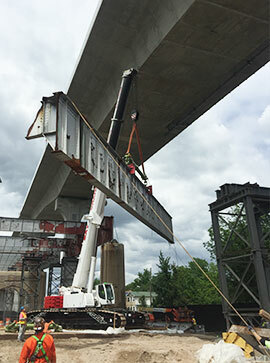 Walsh Construction lifts and lowers 112’ bridge leafs on the Congress Parkway Bascule Bridge with rented air-powered winches, sheave blocks, and telemetry crane scales from Lifting Gear Hire (LGH). Rehabilitating and reconstructing a 60 year old bridge can sound pretty daunting, especially if it hasn’t experienced significant repairs since its creation. 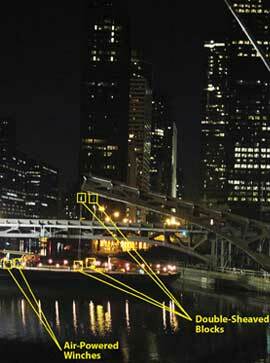 And that’s exactly what Walsh Construction had to do for the Congress Parkway Bascule Bridge in Chicago, IL. W.F. 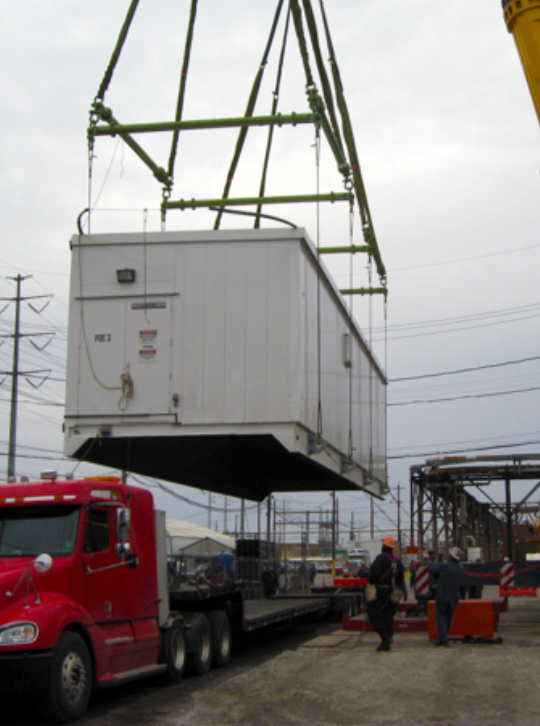 Magann Corporation rented a Modulift modular spreader beam from Lifting Gear Hire and was able to fulfill their contractual obligations to delicately relocate the historical structure known as the Watch Box. A historic structure that Abraham Lincoln would often visit, the Watch Box played a vital role in keeping the Navy Yard secure and it remains to this day as the only surviving example from that period of time. Considering it’s the 150th anniversary of the end of the civil war, the Navy decided to restore the structure and return it the Navy Yard where it originally belonged. 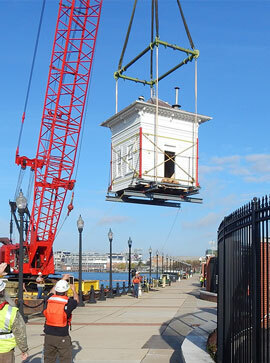 To complete the job, Ayers House Movers, another subcontracted construction company, needed to lift the structure from its foundation, and move it onto the waterfront where W.F. Magann Corporation would place in on their barge and float it up the river to the Washington Navy Shipyard in Washington D.C and set it back on land for Ayers to move it inside the shipyard. 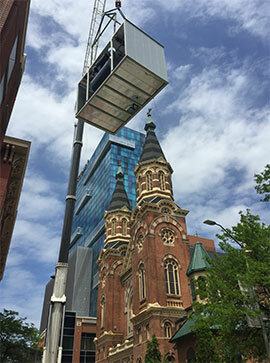 Danny’s Construction rented multiple air skates and a receiving tank from Lifting Gear Hire to move beams inside the Minnesota Timberwolves practice facility. The new practice facility inside the existing Block E building of the Minnesota Timberwolves and Minnesota Lynx in Minneapolis required renovations to its structural foundations. So when the time came for building maintenance, they called upon Danny’s Construction to give the facility a little tender love and repair. Danny’s Construction had to remove some structural steel to install a new truss. 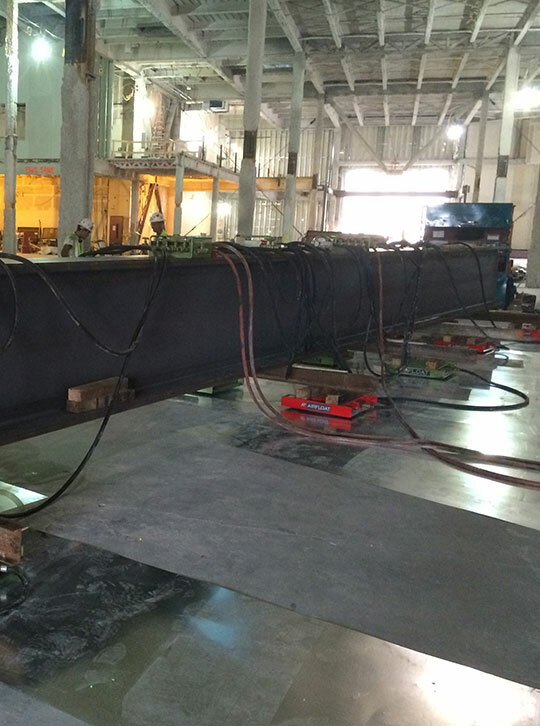 To do this, they needed to put two W40x397 60 ft long transfer girders at each end of the building to transfer the weight from the area they were going to demolish. Sounds challenging enough already, right? Despite everything else required to complete the job, other issues began to arise.